Happy Friday! I just wanted to pop in and share a layout I created last week. I've been super into watercolors recently, and I've been trying to think of creative ways to use them. 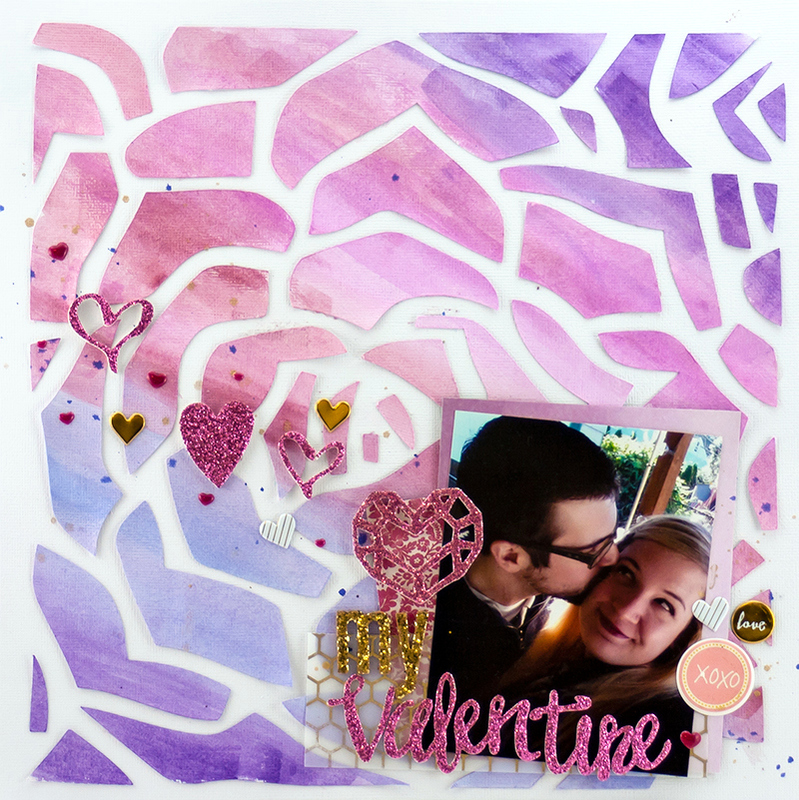 To create this layout, I cut a background out using my Cameo, and then painted the entire piece of paper on the cutting mat before I took it off. Next, I placed the negative part on my blank cardstock, and used it as a stencil to place the rose petals. I removed the negative, and the background was complete! I wasn't really sure how to embellish it since there is a lot going on with the flower, and I don't have a lot of purple embellishments. I grabbed the crate Paper Kiss Kiss glitter thickers since they were in eyesight and used those. It's not my favorite layout, but I had a lot of fun making it!